Achromatic, apochromatic, extra-low dispersion, and fluorite glass. What are these? 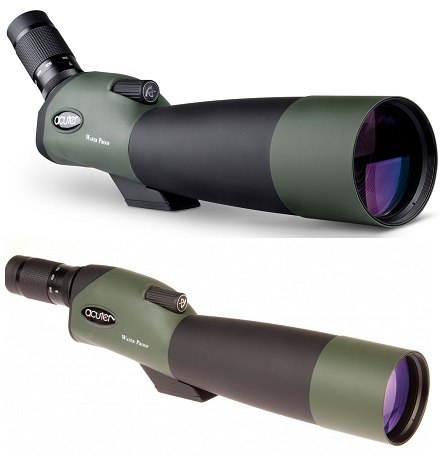 While there are many high-end manufacturers that offer Apochromatic (APO) lenses. What the benefits of having Apochroamtioc or Super Chromatic Lenses! A white light like regular daylight, may seem colourless to our visible eye. However, white light actually contains all the wavelengths of the visible colour spectrum. While each wavelength is just as intense as the other, colour “sharpness” and fidelity through hunting optics can be diminished because of the glass. When light travels through the prism system/glass elements, the wavelengths become distorted and dispersed. This means that each wavelength is broken up and they each land in various distances among the focal plane of the optic. This results in aberration. It appears as colour fringing and spherical aberration. Colour Fringing: Bright to dark transitions in the image, especially where you see highlights, are distorted. The edges or the fringes will be coloured and soft. Spherical Aberration: The quality of the image is compromised. The entire image may seem softened and lacking sharpness. It comes by reducing the aberration by reducing the dispersion. Also known as a compound lens, it uses a single lens to correct for one wavelength. However, chromatic aberration remains uncorrected since we are still yet to correct for a broader spectrum of wavelengths (colours). Also known as an achromatic doublet, it uses a series of two lenses: one convex lens and one concave lens. It corrects for two wavelengths, blue and red, by bringing them together to land in the same distance / focal plane. This reduces chromatic aberration for two wavelengths and one wavelength for spherical aberration. Also known as an apochromatic triplet, it uses a series of three lenses. It provides better correction of aberration and significantly reduces dispersion versus monochromatic and achromatic lenses. It corrects for three wavelengths: blue, red, and green to reduce chromatic aberration, and it corrects for two wavelengths to reduce spherical aberration. also consists of some type of fluoride elements, special lens coatings, and flint lenses to bring the wavelengths into the same focal plane. Not yet used on hunting optics. It provide flawless image quality by correcting dispersion for four wavelengths. It can also introduce new issues such as sensitivity to various factors that affects image quality and focusing. 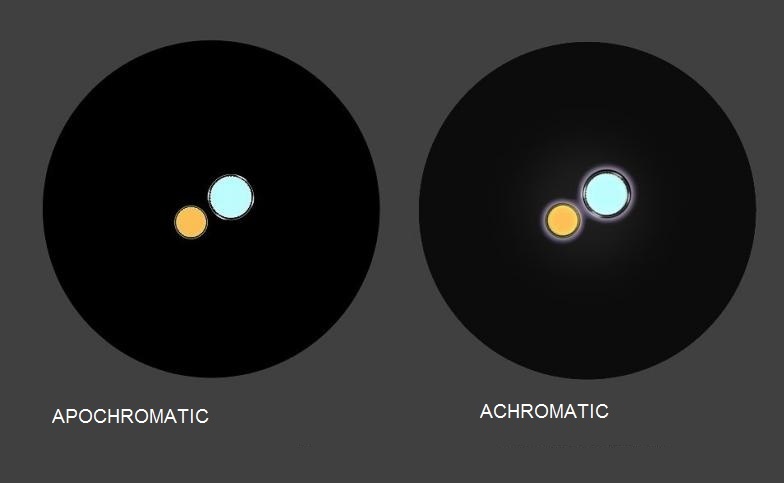 As you can see, APO lenses are better than achromatic lenses, and achromatic lenses are better than monochromatic lenses.